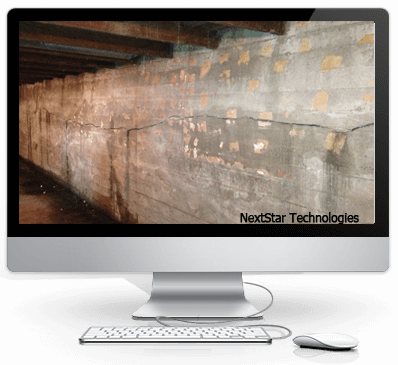 NextStar provides serveral soultions for bowed and horizontally cracked concrete walls Carbon Fiber wall reinforcements used with Epoxy injection to restore to structural stability. Leaking snapties and pipe penetrations can be easly repaired with polurethane injections to permenantly stop water penetration . 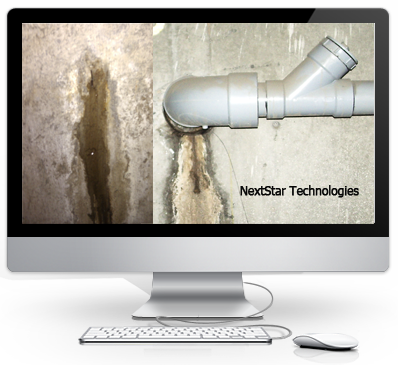 The repairing of structural deficiencies and/or concrete wall seepage as a result of foundation cracks are a critical aspect of the basement waterproofing process. Today, the most efficient and economical way to repair poured foundation cracks is with low-pressure injection of either epoxy or polyurethane foam. 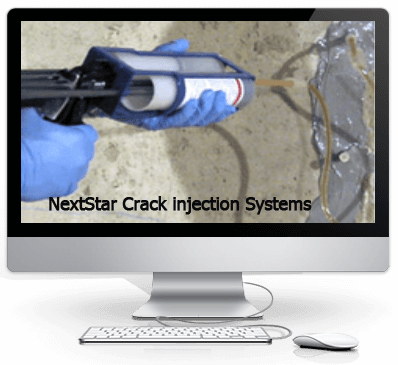 NextStar provides a variety of polyurethane and epoxy resin injection materials .Special products using carbon fiber for concrete wall and slab reinforcement. 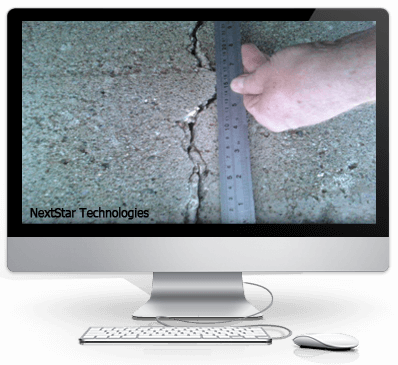 Most concrete foundation cracks are strictly leaking problems, especially during heavy rains and snow melt. Not only can excess water in the basement potentially damage or ruin valuable items, but chances for mold and mildew growth are significantly higher, which directly impacts a home's indoor air quality. Basement wall cracks also have the ability to widen. While a particular crack may not necessarily be a problem at the time, that can change as soon as the next heavy rain storm arrives. After a foundation crack forms, the prospect of water seepage (whether slight or major) is not a matter of if, but a matter of when. If water leakage from a foundation crack is minimal now, the potential exists for the crack to widen, allowing further seepage into the basement. These basement wall cracks, resulting from shrinkage, generally take place within the first 30 days after a foundation has been poured. As water within the concrete evaporates, the concrete shrinks. When extra water is added to the concrete, it makes it easier to install for the builder. Unfortunately, the wetter the concrete mix is, the more shrinkage is going to occur, which ultimately weakens the foundation. In addition, natural settling of the foundation also leads to concrete cracks. 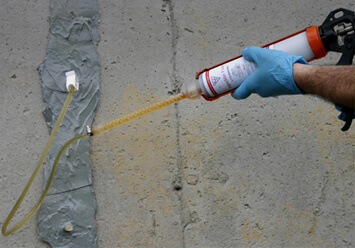 For wet and leaking concrete foundation cracks, the preferred injection material is urethane. Urethane foam is a flexible material that easily injects into the crack. Upon contact with water within the crack, urethane foam reacts by expanding throughout the void, thus filling the crack. For structural defects epoxy is injected to effectively glue the concrete back together. Structural cracks can be reinforced and stabilized with the use of carbon fiber staples and grid straps preventing further cracking.